This bike may be a bit new for this forum, and a bit out of the "cafe racer" group of bikes, but I figured I'd chronicle the project here anyhow. I have known about this bike and kinda half way been after buying it for a few years now. It was sitting in the garage of a co worker for years, being stored for a friend if his along side a crusty gt750. I kept asking about them and finally this past weekend I made a deal with the owner, and bought the pair and brought them home. The interceptor was last ran going on a decade ago, and I'm pretty sure it was laid down at some point, being as there was a box of extra plastics and turn signals with some rash on them, though I'm guessing it was a low speed crash, as the damaged pieces aren't severely damaged. Planning on just fixing it up as a rider, not a show bike, but making it presentable. The clutch master is full of jelly. Replace brake pads, tires, tune up carb rebuild, all the normal stuff. If I push, I may have it close enough to take to barber, but we shall see. Looks pretty damn clean under all the dust. 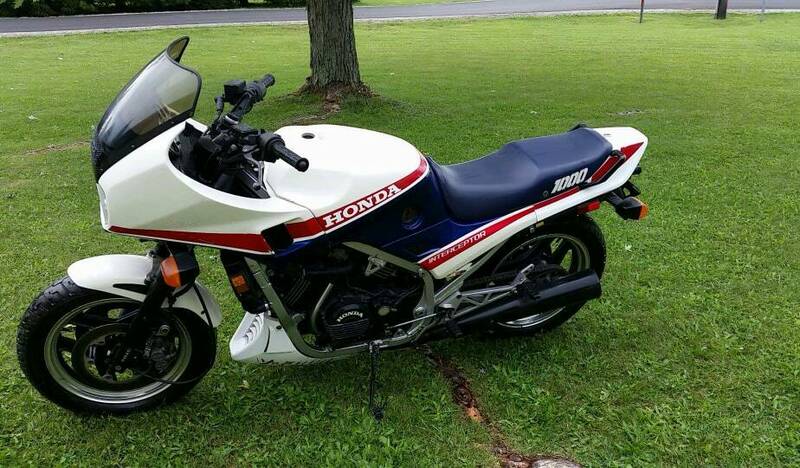 Dig the 80s superbike look. Nice bike, best of the VFs. Congrats on the score! I love these bikes. You know I'm following along. AND not being impatient at all. I'll be down with my helmet next week. That is sweet. Nice colors and looks shiny from here. All it needs is an F2 front end and you are golden. 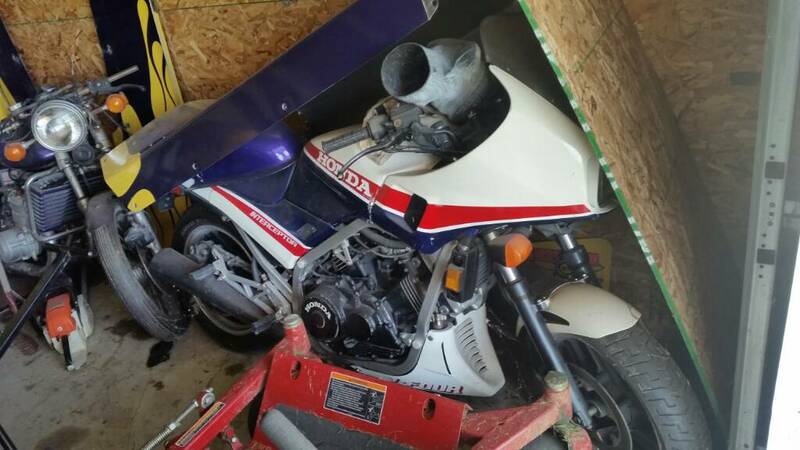 On another note, I think this is the bike Honda designed thinking that these carbs would keep their service centers busy four decades. What a pain to get out! 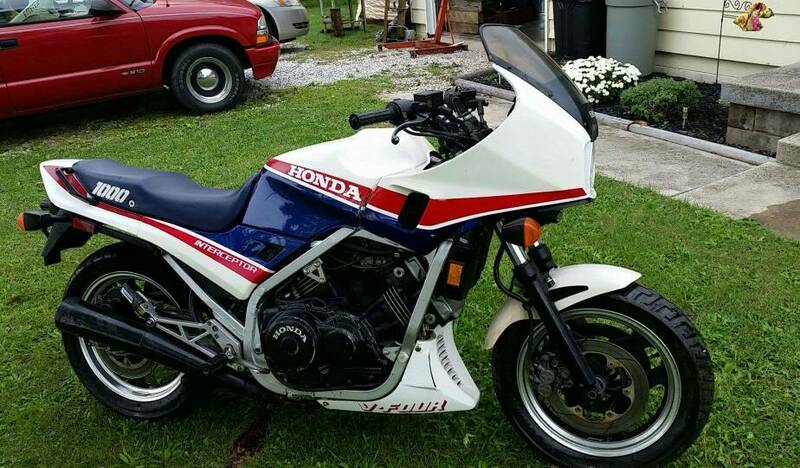 Lots of good things can be said about the Honda V4s... working on 'em ain't one of them.